The BMW 7 Series is in its sixth generation, after a technological leap for 2016, including engineering learned from the i electric car. Today's 7 Series uses carbon fiber in the chassis, saving 90 pounds. Aluminum doors, trunk lid and suspension help bring the balance to a perfect 50/50, front/rear weight distribution. That's saying a lot, for a big car, and the handling of the BMW 740i backs it up. For 2017, the BMW 740i is available with all-wheel drive. 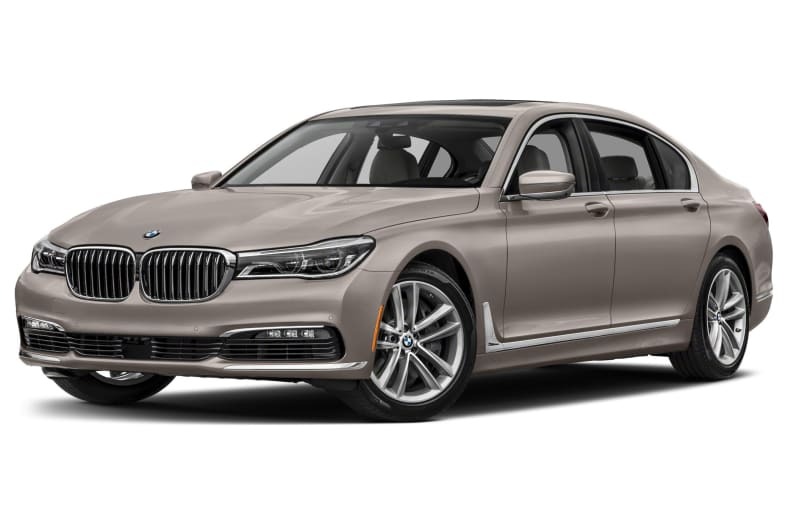 Also new is the 2017 BMW M760i xDrive with a twin-turbo V12 making 600 horsepower and 590 pound-feet of torque BMW claims can blast to 60 miles per hour in 3.9 seconds. Also new for 2017: the Alpina B7 xDrive with Integral Active Steering that combines variable ratio electric steering system at the front axle with active steering on the rear axle, while blasting to 60 miles per hour in 3.6 seconds. Most popular is the BMW 740i, which uses a twin-turbocharged 3.0-liter inline-6 making 320 horsepower, a sweet engine. The 750i packs a 4.4-liter twin-turbocharged V8 making 445 horsepower, mated to a silky 8-speed automatic transmission, pulling zero to sixty in 4.3 seconds. The technological leap this latest-generation BMW 7 Series made was mostly in electronic chassis control. The steering, throttle, suspension and transmission can be set in three modes, Sport, Comfort and Comfort Plus settings. On all models, a complex system called Active Comfort Drive with Road Preview adds anticipatory functions to the active chassis with air suspension, while the Integral Active Steering (variable-ratio rear-wheel steering) now comes with all-wheel drive. The automatic transmission downshifts on its own, based on what the navigation system tells the transmission about the road ahead, for example a hill. We wonder why anyone would want their car to do this. We're not sure we want our transmission shifting based on a nav system that's lost half the time. The 7 Series hasn't been crash-tested because it's a low-volume product. Standard safety equipment is bountiful, from active headlamps to active headrests to rearview camera. Optional safety equipment includes everything night vision to a watchdog sensor that flashes a coffee cup if it sees you getting tired. Driver Assistance Plus Package II includes adaptive cruise control, active lane-keep assist, Side Collision Avoidance, and Traffic Jam Assistant. It provides semi-autonomous driving, following cars ahead and providing steering assistance to keep the car in its lane.